Majé Mountain Range, Province of Darién, Republic of Panamá. 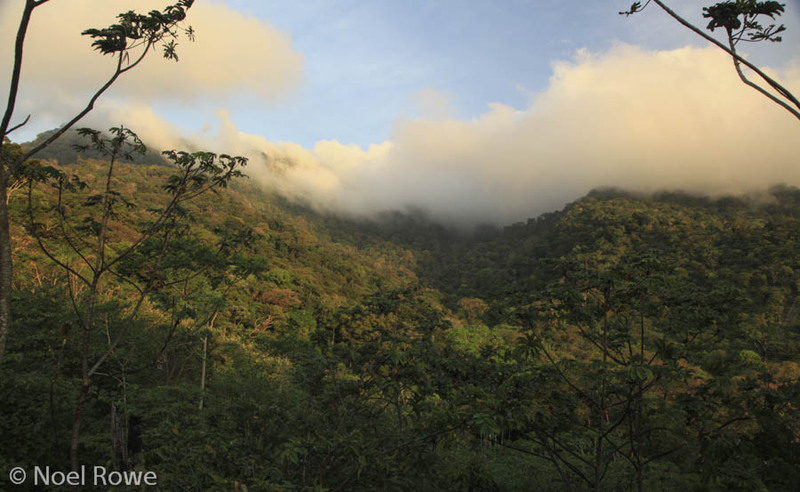 Long-term protection of a cloud forest ecosystem and its endemic and threatened species. 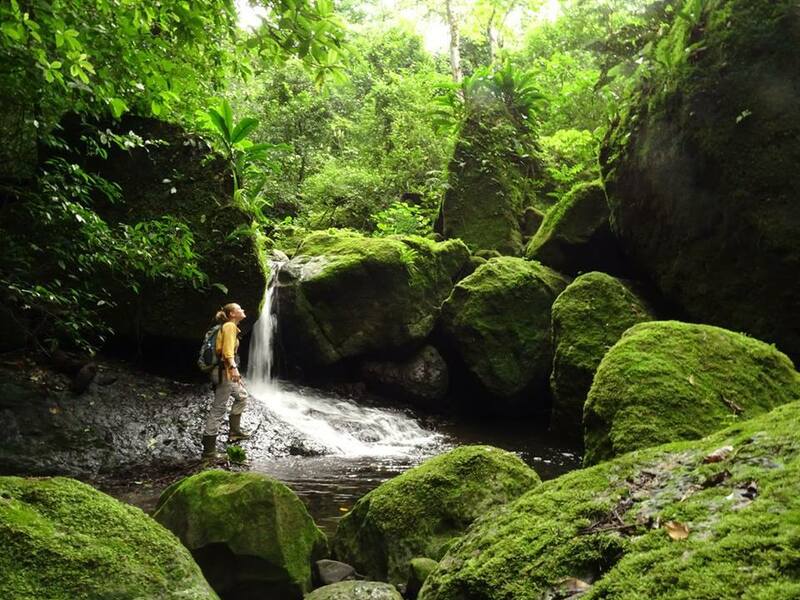 Cerro Chucantí is an isolated massif in southern Panamá that rises from sea level to 1,439 m in elevation and sustains a diverse cloud forest tropical ecosystem. Its geographic isolation has allowed its fauna and flora to differentiate considerably over millennia. As a result, Cerro Chucantí is home to many endemic and threatened species of reptiles and amphibians, plants, birds and mammals (see Conservation Value, below). Over the last two decades there has been increased pressure to clear the land around Cerro Chucantí for cattle ranching. In collaboration with our US-based colleague Rainforest Trust, in 2016 three properties totaling 105.47 were acquired to support the expansion of the Reserva Natural Cerro Chucantí to approximately 6 square km. 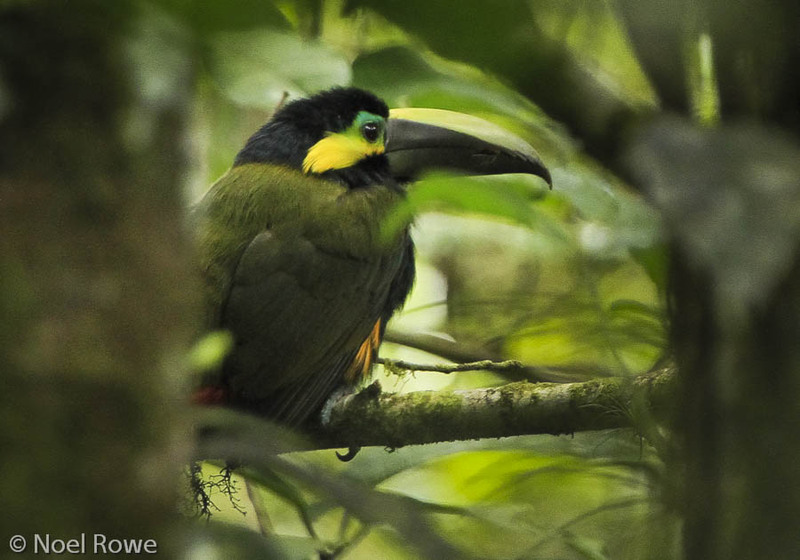 The reserve will be managed by our project partner Adopt a Panama Rainforest (ADOPTA). In addition, a down payment was placed to acquire a fourth property totaling 63.56 ha, thanks to the generous donation of an ICFC donor. Then, in December of 2017, ADOPTA secured a Small Grants for the Purchase of Nature (SPN) from The International Union for Conservation of Nature Netherlands (IUCN NL) to finally complete the purchase of the aforementioned ‘fourth property’. 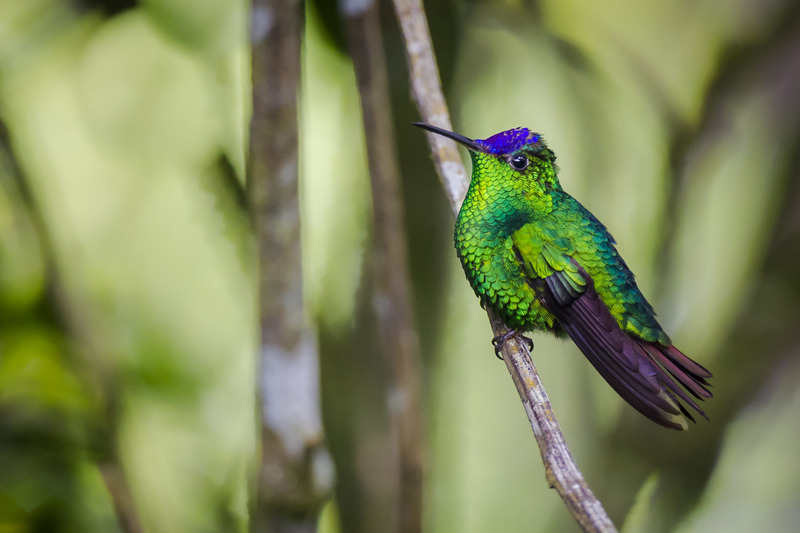 Our partners in this acquisition are: Asociación Adopta el Bosque Panamá (ADOPTA), the Panamanian NGO that manages and protects the reserve; the US-based Rainforest Trust (RT); and, a private donor. Cerro Chucantí is an isolated massif in southern Panamá that rises from sea level to 1,439 m in elevation and sustains a diverse cloud forest tropical ecosystem. 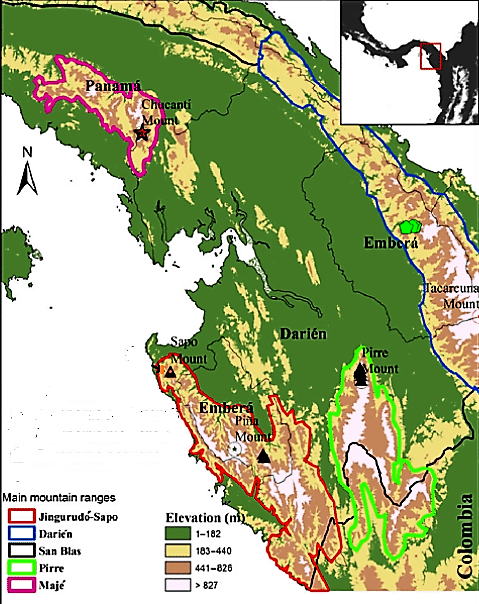 The geographic isolation of Cerro Chucantí (located in the Province of Darién within the Tumbes-Chocó-Magdalena biodiversity hotspot and bordered by the Mesoamerica biodiversity hotspot to the north and the Tropical Andes biodiversity hotspot to the east) has allowed its fauna and flora to differentiate considerably over millennia. As a result, Cerro Chucantí is home to many endemic (and critically endangered!) species such as: the Chucantí Centipede Snake (Tantilla berguidoi), the Chucantí Salamander (Bolitoglossa chucantiensis), a newly described frog (Diasporus majeensis sp. nov.), two newly discovered flowering plants in the Araceae family (Anthurium annularum) and (Anthurium chucantiense), and a new flowering plant in the Heliconiaceae family (Heliconia sp. nov.), to mention just a few. 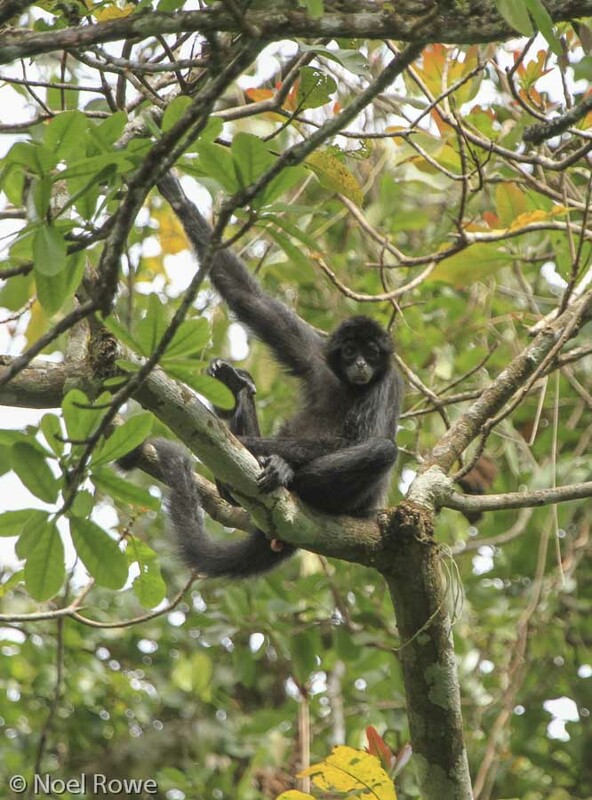 In addition, due to its remoteness, it has also become a sanctuary for other critically endangered, endangered, and/or vulnerable species like: the critically endangered (CR) Colombian Spider Monkey (Ateles fusciceps rufiventris), endangered (EN) Great Green Macaw (Ara ambiguous), and Baird´s Tapir (Tapirus bairdii); the vulnerable (VU) Giant Anteater (Myrmecophaga tridactyla), Harpy Eagle (Harpia harpyja), and Great Curassow (Crax rubra); and the endemic Panamanian Climbing Rat (Tylomys panamensis), listed as ‘data deficient’ in the IUCN-Red List, and recently re-discovered at Cerro Chucantí after decades without any records. Lastly, the Darién is the largest region of Panamá, yet the least populated. This condition has allowed the Darién to maintain and boast one of the last vast tracts of primary rainforest in Central America. However, over the last two decades there has been increased pressure to clear the land around Cerro Chucantí for cattle ranching. Map of Cerro Chucantí - Darién Region, Panamá.